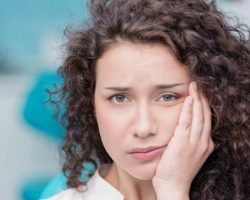 Do I Need TMJ Treatment? When you clench your jaw and grind your teeth, you’re not only going to likely suffer from chronic pain, but you’re putting your oral health at risk. That’s because teeth grinding can wear down teeth and damage your enamel, giving bacteria a better chance of getting inside and causing an infection. Avoid those problems with TMJ treatment at DocMark General & Cosmetic Dentistry! Take a moment to answer these questions to see if your symptoms could be related to this jaw alignment disorder. Then call our Myrtle Beach, SC dental office today at 843 916-0990 or contact us online to schedule an appointment. Comments Off on Do I Need TMJ Treatment?